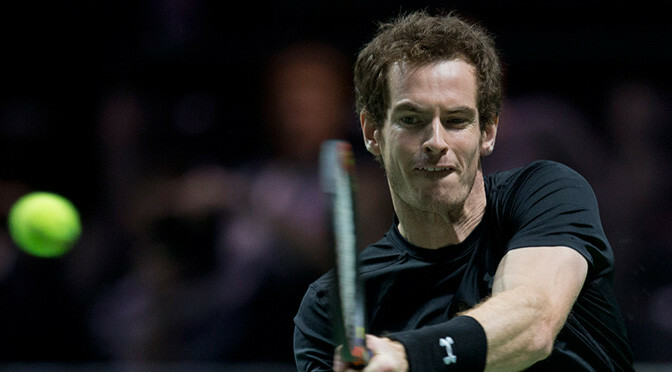 Top seed Andy Murray suffered a shock defeat against Gilles Simon in the quarter-final of the ABN Amro World Tennis Tournament in Rotterdam. The British number one and world number four lost 6-4 6-2 to the Frenchman, 15 places below him in the world rankings. Murray, 27, lost his serve in the opening game and slipped up again in the fifth to concede the first set. 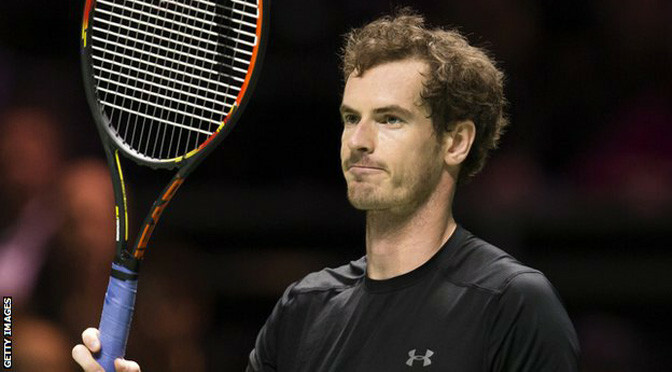 It was the same story in the second set with Murray failing to deliver on his first serve as he made many mistakes. The Scot, who beat Canada’s Vasek Pospisil 6-3 7-5 in the second round, had won 12 of the previous 13 meetings against the Frenchman. Simon, seeded eighth, will face the Czech world number seven Tomas Berdych, who was a 6-1 6-4 winner against Frenchman Gael Monfils. Stan Wawrinka also progressed to the last four in Rotterdam, defeating world number 37 Gilles Muller. Number four seed Wawrinka sealed a 7-6 6-3 straight sets victory to set up a match against either Sergiy Stakhovsky or Milos Raonic. 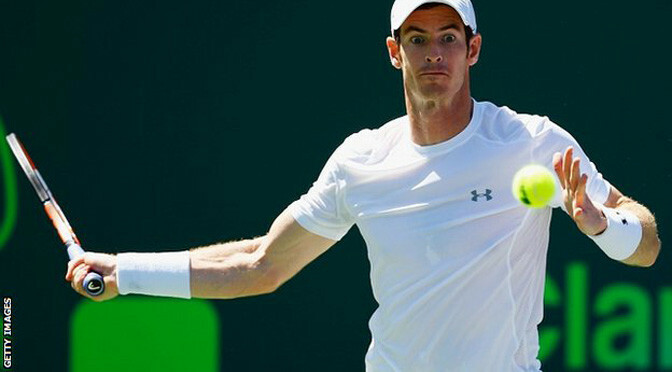 Britain’s Andy Murray beat Canada’s Vasek Pospisil 6-3 7-5 in the second round of the ABN Amro World Tennis Tournament in Rotterdam. The top seed was hampered by an ankle knock at the start of the second set but fought back from 5-3 behind to win in straight sets. Murray, 27, only hit 14 winners to his opponent’s 25, but made 17 unforced errors compared to Pospisil’s 26. 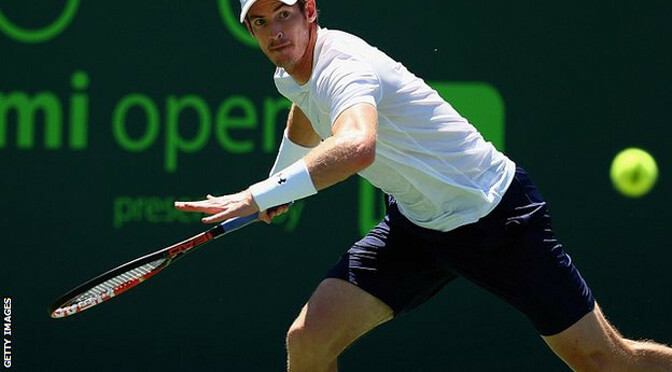 The Scot now faces eighth seed Gilles Simon of France in the quarter-finals. The first set went with serve until the eighth game when Murray took advantage of some tame Pospisil serves to break and then he held comfortably to take the first set in 36 minutes. The world number four then landed awkwardly on his left ankle in the first game of the second set but, despite hobbling and in pain, he took control after breaking Pospisil with a great return down the line to move 3-2 up. However, the Scot, who beat Frenchman Nicolas Mahut 6-3 6-2 in the first round, then lost his way and was broken back immediately thanks to the Canadian’s best return of the match. Pospisil went in front on his own serve before the world number 59 claimed the vital break to move 5-3 up as Murray picked up a code violation for smashing his racquet. The Scot showed his mettle to immediately break back and then levelled at 5-5. Murray then won a hard-fought 11th game of the set after several deuces before serving out to win the match. 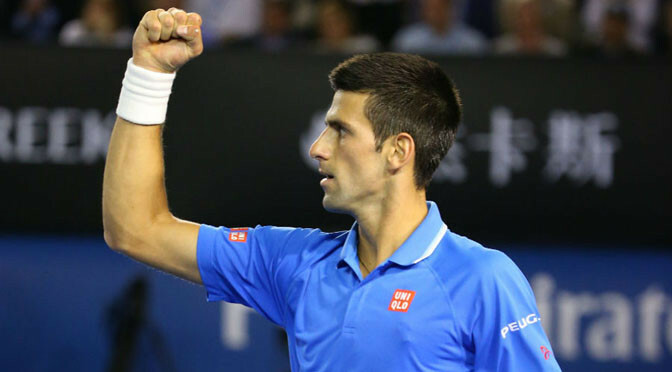 He now faces Gilles Simon, who progressed thanks to a routine 6-4 6-3 win over Jeremy Chardy. A brief stoppage due to protestors invading the court provided a turning point; the standard lifted and Murray broke back. After 80 minutes, some long and fiercely contested points and a second tie-break, the Scot was level. However, Murray’s failure to kick on when ahead proved detrimental. Flying from his levelling tie-break, he broke immediately at the start of the third and quickly held to move two-love up. Djokovic, though, was soon let off the hook; the same as he had been against Wawrinka in their semi-final and earlier in the match. Momentum had clearly shifted the Serb’s way and Murray looked to have given up the ghost. The Briton was broken immediately and, after Djokovic secured advantage with a comfortable hold, Murray dropped serve again. From that point there was only one outcome as, after over three-and-half gruelling hours on court, Djokovic wrapped up his third Australian Open final triumph against his old friend and rival with a bagel. Sears, the fiancée of Andy Murray, responded in quite brilliant fashion to her critics after she swore during her man’s previous match at the Australian Open. All eyes were always going to be on Sears after her outburst during Murray’s semi-final match against Tomas Berdych, and she found the perfect riposte. The response on social media was one of delight with many quick to laud Sears for her humour in reacting to the controversy in such fashion. 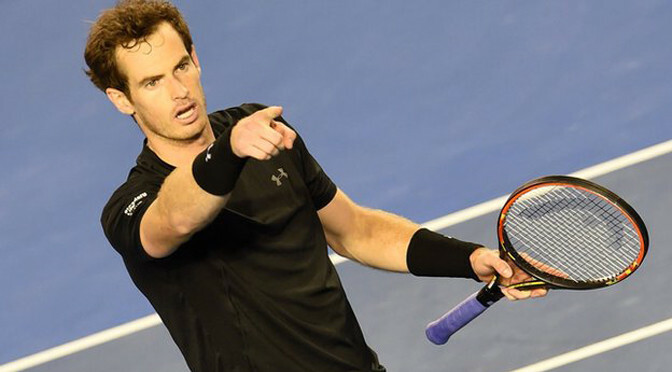 On Thursday, the TV cameras had alighted on Sears during a particularly intense moment: Murray was down 5-4 in the first set against Berdych, which he would go on to lose in a tie-break. And amateur lip readers up and down the country were quickly accusing Sears of turning the air blue with what appeared to be a very rude outburst. It will be the sixth seed’s eighth Grand Slam final and first working with Amelie Mauresmo, with ex-coach Dani Vallverdu now in Berdych’s corner. 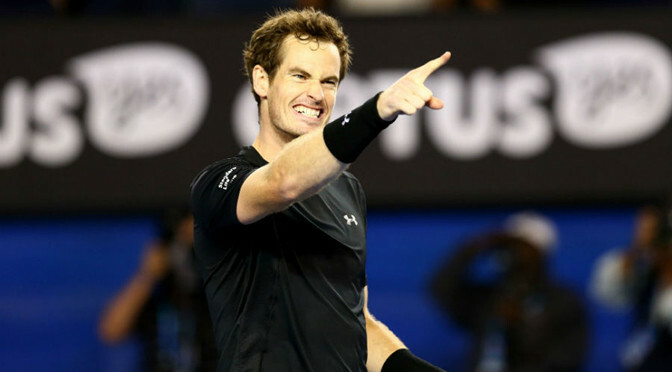 Murray, 27, will play the winner of Friday’s semi-final between Novak Djokovic and Stan Wawrinka. 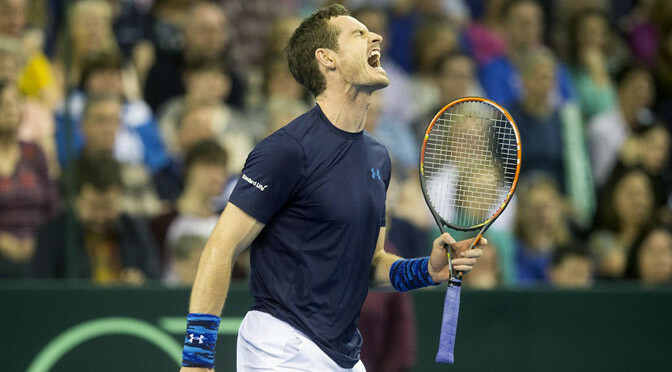 “There was a little bit of extra tension – it was a big match,” said Murray. “A lot was made about Dani Vallverdu, my former coach, working with Tomas. “But we’ve been friends since we were 15 years old and I felt that the focus was unfair and unnecessary. The Scot’s hopes were under threat after losing a tension-filled opening set, but he turned it around with a brilliant lob early in the second and took control with seven straight games. Berdych, 29, had started much the better and served for the set at 5-3, only for Murray to break straight back in a rally of huge forehands and celebrate wildly in the direction of the Czech’s player box.